Nim was giddy with excitement. He missed Lil of course, but he had the whole house to himself and could do whatever he wanted to do. 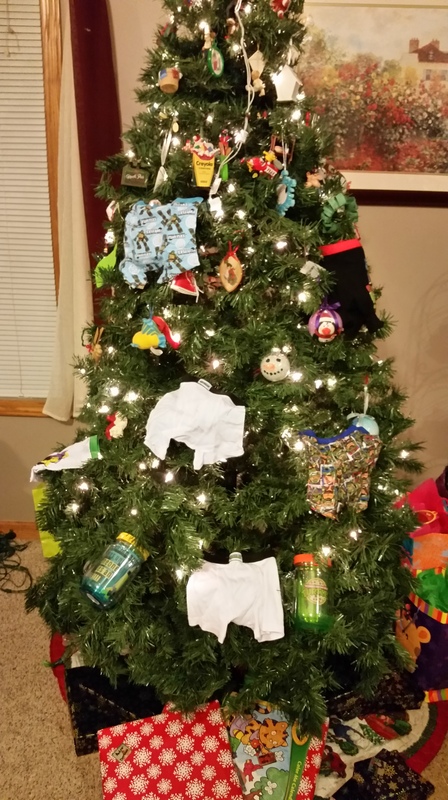 For example, Lil had squashed his idea of decorating the tree with the kid’s undies. Nim chuckled. He wasn’t so concerned with embarrassing the boys. Lil had also been against making too big of a mess. For example, she did not like the idea of making snow angels in flour. 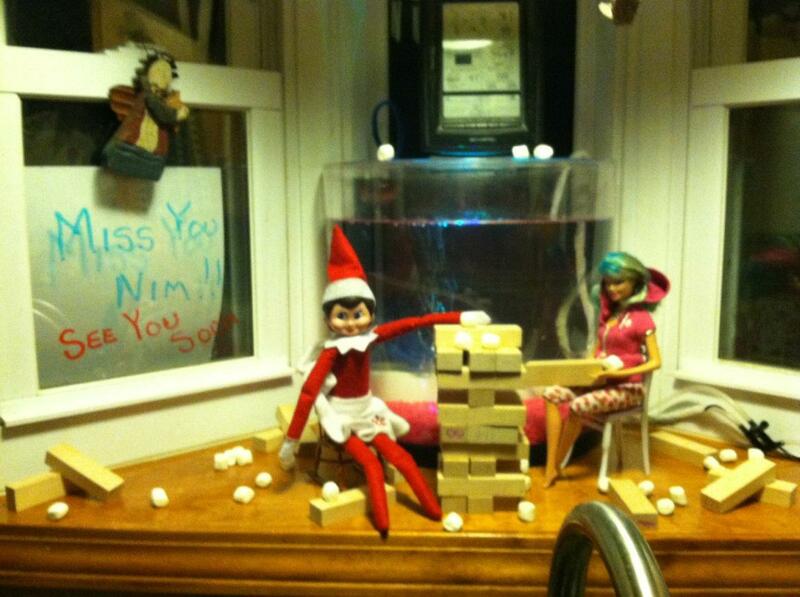 Well, since it was the last night, Nim was counting on the holiday spirit to soften tempers. He found the flour canister and spent some time diving in and out, making a HUGE wreck of the counter. 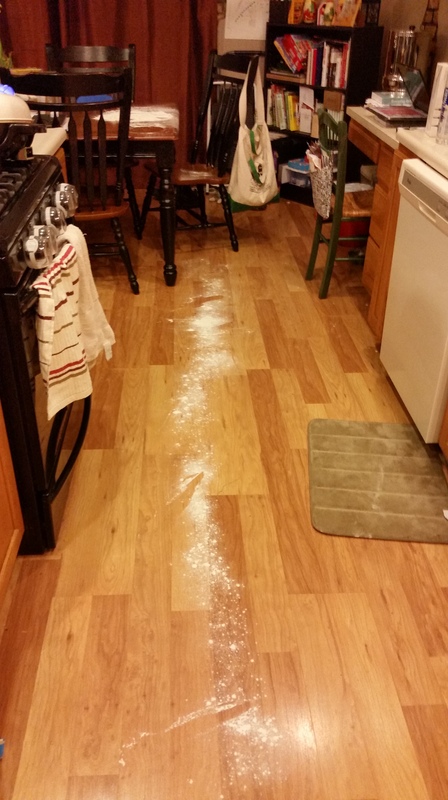 Rather than carrying the canister to the table, as he could have done with a little pixie dust, Nim scooped up handfuls and flew the flour over to the kitchen table. With each trip, he left a path of “snow” on the floor. After he had enough flour on the table, he rolled around in it and made a flour angel, making more of a mess on the chair. 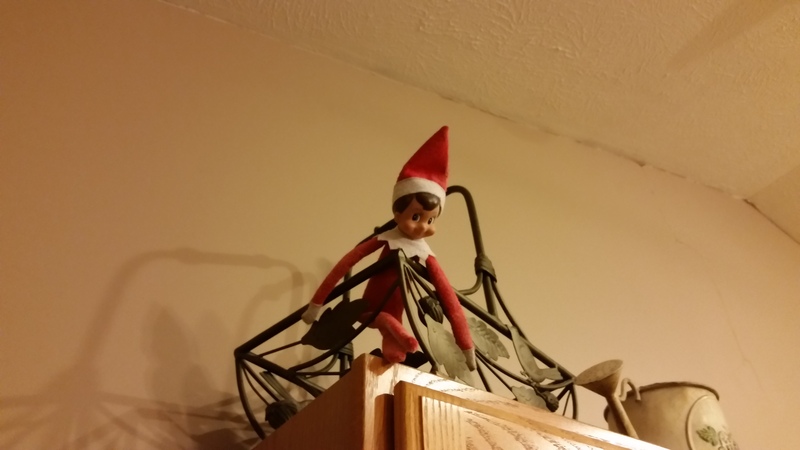 Covered in white powder, he soared to the top of the cabinets to settle in until morning. He couldn’t help but think how shocked Lil would be when he told her about his last bit of mischief. She would probably laugh and be glad she hadn’t been there to witness Joe’s mom’s reaction to the mess. He couldn’t wait to tell her all about it. Lil was still a little sad that she wouldn’t be making mischief with Nim. She flew into the kitchen of the strange new house and landed with a thud on the counter. One look at the living room had her spirits soaring. Barbie dolls were scattered across the couch. Finally, a chance to play dress-up! Sure, Lil enjoyed her time with Nim. They’d planned some great pranks together. But…the boys’ house was sadly lacking in dolls. “We could dress up the Power Rangers,” Nim once offered. “What would they dress up in?” Lil had asked. At this house, there were Barbie clothes, doll clothes, shoes, purses…everything she needed to play dress-up. So Lil played with the Barbie’s for a long time, only stopping when the sun started to rise. Then, she soared over to the window ledge above the kitchen sink and built a Jenga block wall, pelting Barbie with mini marshmallows until she heard the girls coming down the stairs. Tonight, Santa would come to deliver presents (or coal) and all the scout elves would fly back to the North Pole to celebrate this year and prepare for next year. Lil couldn’t wait to tell Nim about her night.